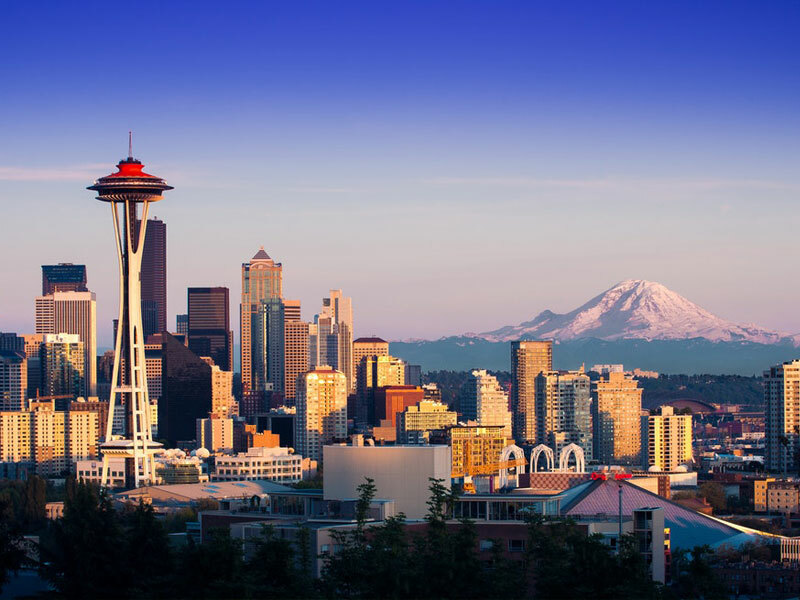 Home is where the heart is and mine lies in the Pacific Northwest, where I can be found participating in some of my favorite hobbies or patriating some of the businesses I recommend. I've done some wandering around the planet but I always end up back home in the Pacific Northwest. Living here affords endless opportunities for exploration, education and entertainment. Activities abound in every direction, as numerous as the stunning vistas which accompany them. Clean air, clean water, what's not to love. My habitation within the State of Washington began in 1976 but family connections run back to the early twentieth century. Grandma Maude went to Clarkston High school, then graduated from Washington State College (not called a University until 1959) in 1932. Grampa helped build the Grand Coulee Dam, then helped protect it during WWII. His family had journeyed from Montana in the 1920s. Generations of relatives have lived, loved and died around Washington state ever since. With water and mountains in practically every direction, outdoor activities flourish. Skiing, snow boarding, hang-gliding, parachuting, hiking and every water-sport one can imagine are all right around the bend. 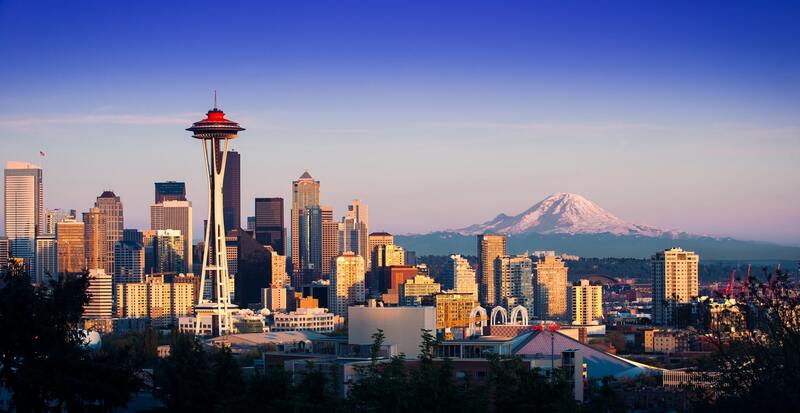 It's no secret the PNW is home to some heavy-weight businesses; Microsoft, Amazon and Boeing for starters. Being branded as an innovative, tech-savy region has always been a net plus for the region and the state of Washington. Even as one of the smaller markets around the country, the PNW region has always showed tremendous support for professional sports teams. While the Sonics managed to escape, Seattle has now added a MLS, NHL and now an XFL team to go with the Mariners & Seahawks. Music lovers can take in majestic symphony performances, take in concerts at wineries, stadiums or 'The Gorge', or make the rounds at small, local clubs to catch upcoming artists. Artsy-fartsy folks will find a variety of galleries, museums and world-class shows to critique, or so I've been told. Washington State's official travel and tourism Web site. A travel guide for the entire PNW region focused on activites and accommodations. When I'm not working or trying to improve my craft, chances are I'll be found doing one of the following. Daily time is spent catching up on current news & events from various sources and viewpoints. No matter what time of year, my garden needs a little attention and I value the stress relief. If the NFL is on, I'm watching, either scouting for my Fantasy team or rooting on the Seahawks. I never seem to make as much time as I should, yet always enjoy myself whenever I do. Real-time or Turn-based, I often enjoy Strategic PC/Console games for a challenge. I love my home and the neighborhood it resides in. I enjoy attending HOA meetings. No, really. Mostly I use photography to track the ongoing fun experiment that is my garden. Somehow I became the defacto family genealogist. As time permits, history fascinates. Sports cards, memoribilia, stamps, magazines & newspapers clog up my closet. I heartily recommend all of these folks either because I know them personally through work or life, or have done enough business with them to qualify my opinion. Creates exceptional wines that are true to the varietal, terroir and vintage. Custom airbrush painting on helmets, vehicles, boats, motorcycles, signs & more. A Private Dog Walking and Dog Boarding Business Located in Edmonds, WA. Renee Krause specializes in permanent cosmetics & clinical skin care. Custom-made, tasty Beef Jerky and distributorships to resell. Friendly, knowledgeable staff reinforces my support for local vs bigbox nurseries. Consistently ranked amongst the top performing brokers in Kitsap. Professional Seattle home sales via Keller Williams. Pristine, well-equipped Wedding & Event venue with beautiful vistas. Offers a full range of fundraising solutions for ministries and nonprofits. 120 wooded acres of which 40 are cabins, lodges and recreation areas. Superior landscaping services, pleasing clients for over three decades.